If you're looking for a refreshing salad that is easy to make, then this is the recipe for you. 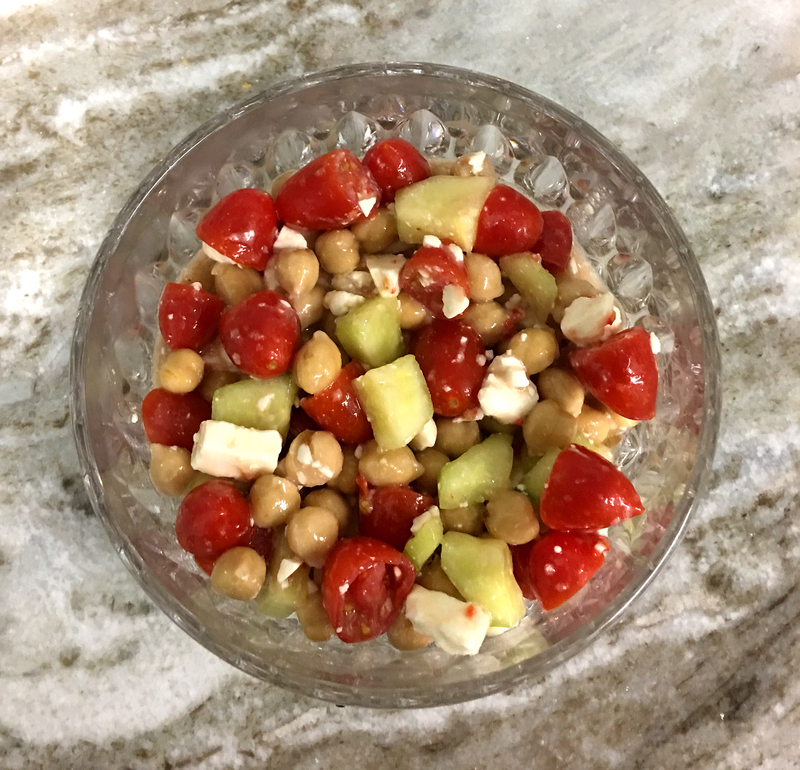 With just a few ingredients, and a mix of savory and sour, this easy chickpea salad pairs well with any summer entree. Drain and rinse the chickpeas and place in a large bowl. Cut cherry tomatoes in half and add to bowl. Wash, peel and dice cucumbers into same bowl. Add dressing and Feta cheese and toss ingredients together. Chill for at least two hours and enjoy. **This recipe was submitted by Deidre Salisbury of Killeen, TX.